The New York State Museum’s collection of blown bird eggs is one of the world’s largest and most diverse, ranking 23rd in the number of specimens and 12th in the number of species. Nearly all of the eggs were obtained from three large private collections that were donated to the Museum by Benjamin W. Arnold (in 1912), Beecher S. Bowdish (in 1952), and Roy C. Latham (in 1969). For these men, and other wealthy amateur naturalists of the 19th and early 20th centuries (including the young Franklin D. Roosevelt and E. A. McIlhenny, inventor of Tabasco Sauce), egg collecting was a hobby that involved searching for nests in nature as well as trading and purchasing eggs from other collectors. The size and diversity of one’s egg collection was a source of pride, and collectors competed against one another much the same way that birders today compare “life lists” of the bird species they’ve seen. A new conservation ethic, developed in the early 1900s, and the 1918 federal Migratory Bird Treaty Act, protecting birds and their nests and eggs, effectively ended the era of private egg collections. 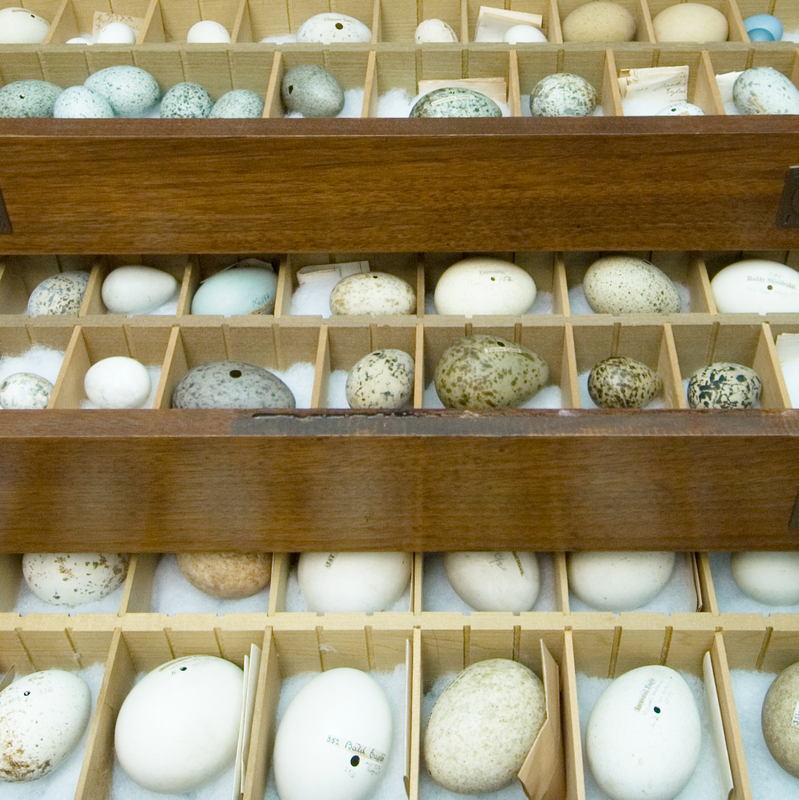 Some professional ornithologists obtained permits to continue collecting wild bird eggs, but for most of the 20th century, very few eggs were added to museum collections. Fortunately, the NYSM and other museums have maintained their historic egg collections, and these are proving to be valuable to scientists investigating a wide variety of new research questions.